*Study trips to Israel with husband John are planned for October 2018 and March 2019. *Melanie was honored to recently teach three women’s retreats, a private group of Celebrate Your Story! and 2 of the past 4 Camp Barakel’s Mother/Daughter weekends. parted the sea and Israel celebrated. Moses drove the people into the desert. The way is too hard--is this really what God has in mind for us? Having Nothing, Lacking Nothing, is about being driven into the desert. 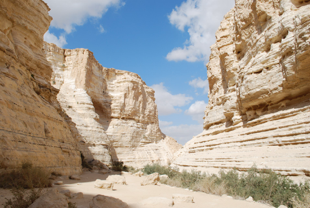 In the desert the author, like the people of Israel, questioned God’s lead because of the hardships she saw before her. The Lord knows we cannot take up a fuller, more vibrant life without first letting go of what we cling to. He also knows that it is not in our nature to willingly walk the hardest of roads, even if those ways ultimately lead to life. Time in the desert has the potential to uproot anything that keeps us from drawing near to God. When we are finally empty-handed of all other things we thought could satisfy, we are free to embrace what He has for us. This book chronicles real struggles, real pain, and honest questions when faced with personal tragedy. If you have ever experienced loneliness, unwarranted hardships, or overwhelming loss and grief, you will recognize the questions. But you might be surprised by the answers. In the desert, our deepest needs will surface. Face to face with all we lack, the Lord’s hand is extended to us, inviting us to meet with Him. I pray that you, too, will find that having nothing, you are lacking nothing.